Governments’ weakening control over innovation calls for updated methods of arms control and oversight. Universities must play their part in forming security policy and enforcing good practice, argue Brett Edwards and David Galbreath. 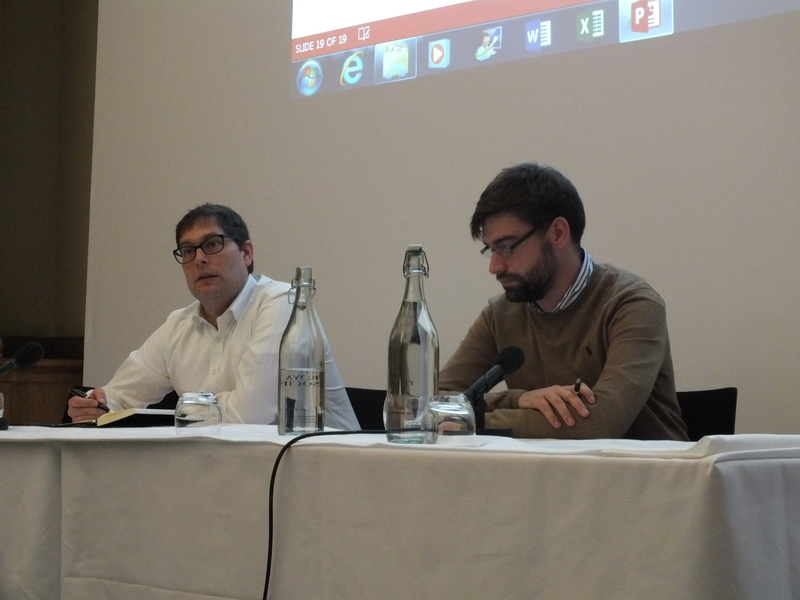 David Galbreath and Brett Edwards presenting at the meeting ‘Biological and Chemical Security in an Age of Responsible Innovation’ Held at the Royal Society, London and hosted by the Biochemical Security 2030 Project. Image: R.guthrie. In October, the United States government announced a “funding pause”—since partially lifted—on gain-of-function research into three viruses, including influenza. These studies attempt to make a pathogen more deadly or infectious in order to improve understanding of how to treat and vaccinate against the disease. The safety and security implications of such work are obvious, and this latest policy development followed a number of emergency meetings at national and international level and a voluntary moratorium among scientists. 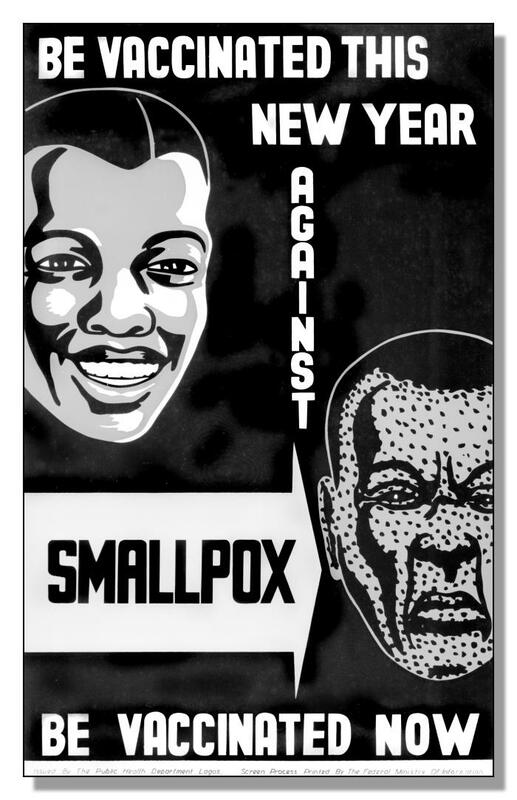 But governments cannot, as they once might have done, hope to exercise absolute control over who does what to pathogens. Developments in biotechnology point to a future in which techniques seen as cutting-edge today are increasingly accessible and widespread. Technological changes in areas such as gene sequencing, synthesis and editing promise to speed up laboratory procedures that for now are time-consuming and arduous. And economic and scientific globalisation continue to make technologies more accessible worldwide. This will influence not only where innovation happens but also who is involved. The emergence of amateur biologist groups, sometimes called biohackers, who operate outside traditional research environments, has already become a symbolic focal point in this regard. Their capacity may be limited for now, but some claim that their emergence foreshadows an increasingly nimble and decentralised model of biotechnology innovation. The histories of the modern state, technological progress and security are tightly interwoven. But biohacking shows how systems of innovation and security are moving beyond the scope of government control. The consequences for arms-control regimes will be profound. In the 20th century, states were the main developers and the main targets of cutting-edge weapons. The most devastating of these were developed primarily through state programmes. Countries sought to curtail the use of certain weapons on the battlefield and against civilians primarily through international agreements, out of mutual self-interest and on humanitarian grounds. At the international level, we remain heavily dependent on 20th-century treaty systems. Biological and chemical weapons, for example, are addressed through two separate treaties: the Biological Weapons Convention, which came into force in 1975, and the 1997 Chemical Weapons Convention. As with all international treaties, these are products of their time, as well as of politically fraught negotiations. They are imperfect: the treaty on biological weapons, for example, lacks a formal system for the verification of state compliance. The treaty on chemical weapons, in contrast, boasts a legally binding system of verification through on-site inspections of facilities. However, there are ambiguities about non-lethal chemical weapons, which the treaty permits for use in law enforcement. Advances in science and technology are making such weapons increasingly versatile and sophisticated and, as such, potentially more attractive. For both biological and chemical weapons, there is concern that such failings will undermine state confidence in treaty regimes, potentially resulting in international arms races. Changes in security, science and technology are making these issues increasingly significant, and might force a transformation in how we think about preventing the development and use of biological and chemical weapons. International security, for example, is no longer solely a question of state-on-state military threats: it has come to include public health, transnational crime, international terrorism and environmental issues. At the University of Bath we are working on the Biochemical Security 2030 project, which is funded by the Economic and Social Research Council and the Defence Science and Technology Laboratory. It involves studying technologies that challenge existing modes of oversight, and emerging sites of policy development that lie outside international treaty negotiations. An interesting example of both comes from synthetic biology and its implications for security. This interdisciplinary field has its roots in academic efforts in the US, dating from about 2003, to bring engineering into biology. Several products of synthetic biology have already reached the market, and it is claimed that the field could yield breakthroughs in areas such as drug development, chemical and fuel production, and public health. Aspects of synthetic biology have also become symbolic of the security challenges posed by 21st-century biotechnology. This stems from a long history of countries weaponising scientific advances, and the concern that the increasing accessibility of synthetic biology may facilitate illegal drug development and terrorism. In most fields, such concerns have followed scientific advances; synthetic biology is unique in that concerns were present from the start, and in some senses have run ahead of its concrete achievements. A number of horizon-scanning, risk-assessment and educational initiatives have been carried out, revealing many of the conceptual, practical and political challenges involved in pre-emptively discussing and addressing concerns related to single pieces of research. To investigate what UK universities can do and are doing to adapt to this changing security environment, we have sought to develop an understanding of the obstacles and opportunities for policy-making in this area, starting at a local level. We examined the feasibility of forming a network of universities with chemistry and biology departments in south-west England, and hosted a meeting that brought together researchers in relevant fields, staff responsible for biological and chemical safety, and policy-shapers at national and international levels. In particular, we were interested in how such a network might contribute to technology foresight, the education of scientists about misuse, and the development and sharing of good practice in terms of ethics and laboratory security. The first thing we found, perhaps not surprisingly, was that people dealing with international biochemical security and people working in laboratories often used different terms to discuss similar issues. At the local level, for example, laboratory safety is not always thought of as being a security issue. As a consequence, safety practices are not always conceived of and communicated in security terms. This is significant for two reasons. First, outsiders might be led to underestimate security at an institution. For example, many activities that take place at a local level under the label of health and safety, particularly those related to physical containment, are actually already performing security functions. Second, preventing certain threats requires going beyond normal biosafety infrastructures. Think, for example, about the development of a novel pathway that would make it easier to synthesise a controlled substance, or the possibility of a terror threat from inside an institution, or the theft and diversion of research data. Managing such threats requires work with researchers and their support staff and managers to develop a fuller understanding of what biochemical security is, and how to practise it in the workplace. A second observation was that there were already a number of local and national networks devoted to developing and sharing best practice in biosafety at universities. Given the right resources and incentives, these networks could facilitate the development of a culture of biochemical security in universities. Finally, during our meeting and follow-up, it became clear that universities varied in how they treated the relationship between the processes of ethical review and health and safety. It is not always clear who has the responsibility or expertise to flag up concerns about the potential for research to be misused, or at what point of the research process, from grant funding through to publication, such concerns should be raised. These issues, particularly in relation to pathogen research, are probably set to receive more attention in the future. Recent biosecurity reviews in the US and the Netherlands were followed up by one in Germany, where a new legal framework for pathogen research was recommended. And The Guardian reported in December that UK labs handling human and animal pathogens had “reported more than 100 accidents or near misses to safety regulators in the past five years”. Although we often think of security as a brake on innovation, providing biosecurity also requires continued innovation to develop the necessary technologies and workable practices. The south-west alone has many university health and safety professionals and bench researchers who could help create educational initiatives and improved university policies. And even though the UK is already part of international initiatives on biological and chemical security, there is untapped potential to innovate in this area—particularly in shaping good practice linked to the objectives for responsible innovation laid out by Research Councils UK. Universities alone cannot fully negate the risks posed by innovation. But they can raise researchers’ awareness of security concerns and choose to deal only with companies that have appropriate ethical, safety and security accreditation. Some synthetic biologists at American universities have already contributed to the emergence of security screening by adopting this approach when working with companies that produce DNA sequences. Finally, universities can facilitate and encourage the creation of testbeds to improve foresight and responsiveness to the potential security concerns raised by scientific advances. Several such efforts already exist, such as the Synthetic Biology Engineering Research Center in the US and the Centre for Synthetic Biology and Innovation at King’s College London, as well as our more modest initiative at Bath. Given the breadth and seriousness of the issues, there is plenty of scope, and need, for more. Brett Edwards and David Galbreath work in the department of politics, languages and international studies at the University of Bath. This article was published in Research Professional, the UK’s leading independent source of news, analysis, funding opportunities and jobs for the academic research community. Posted in Education, Governance, Science and Technology, South-West. Dr Supatra Marsh, BBSRC Policy Fellow at the Society of Biology, is organising Policy Lates: Dodging a biological bullet – what can we learn from the US and Europe about Biosecurity? During my BBSRC science policy fellowship at the Society of Biology I have been organising the next Policy Lates event focussing on dual-use research. Just in case there are any of you out there that are asking the question ‘what is dual-use research?’ I have tried to write a beginner’s guide to dual-use and biosecurity; dual-use for dummies if you will! According to the National Science Advisory Board for Biosecurity (NSABB) in the United States, dual-use or dual-use research of concern (DURC) is defined as “research that, based on current understanding, can be reasonably anticipated to provide knowledge, products, or technologies that could be directly misapplied by others to pose a threat to public health and safety, agricultural crops and other plants, the environment or material“ 1. In other words, the scientific research being done has a dual-use; the initial purpose of it being carried out in the first place – usually to benefit the public’s health or for the advancement of science – and also an unintended use such as bioterrorism. A much publicised example of DURC came to the fore in 2012 when two papers were published on research into the bird flu virus, H5N1. These so-called “gain-of-function” studies detailed genetic descriptions of mutations that conferred the virus with the ability to be transmitted between mammals. This research sparked controversy because of the risk of misuse of this information which could lead to disastrous consequences such as accidental or intentional release of the modified virus. Gain-of-function experiments result in enhanced capability – in this case the bird flu virus was genetically modified giving it the ability to cross the species-barrier i.e. pass from mammal to mammal whereas before it was only transmissible between birds. The aim of these gain-of-function experiments is to try and stay one step ahead of the virus which naturally mutates at a rapid rate. These experiments confirmed that the virus could indeed evolve to become transmissible between mammals. This knowledge means that the science community is arguably better informed about how to deal with this situation, should it occur. This has implications for vaccine development and improved surveillance. Scientists pride themselves on the ability to freely share knowledge for scientific advancement. However if publications of dual-use research are open access this means that potentially anyone could get their hands on this information and it could be used to cause harm such as by developing bioweapons. The NSABB recommended that the mutational sequences be redacted in the publication of the bird flu gain-of-function experiments. This goes against the scientific ethos of openly sharing information, repeating experiments to confirm reliability of results and providing evidence to support the conclusions of the research. In 2012, the NSABB reversed their decision and both papers were published in their entirety in Nature and Science. So the question now is – how shall we move forward? The US has recently announced a halt on funding of ‘gain-of-function’ experiments on dangerous microbes or toxins, including influenza, severe acute respiratory syndrome (SARS) and Middle East respiratory syndrome (MERS) 2. This is to provide time to do a robust risk-benefit analysis. Scientists warn that seasonal flu vaccines and antiviral drug development will be hampered by this moratorium 3. There is also the problem of inconsistencies in biosecurity regulations in different countries. This risk-benefit assessment process should not only concern the US but be an international undertaking. The consequences of this research will be global, whether it be beneficial or harmful. Will we be able to act in time to dodge this potential ‘biological bullet’? This article orginally appeared on the Society of Biology Website and was Posted by Natasha Little on October 27, 2014 http://societyofbiologyblog.org/dual-use/. 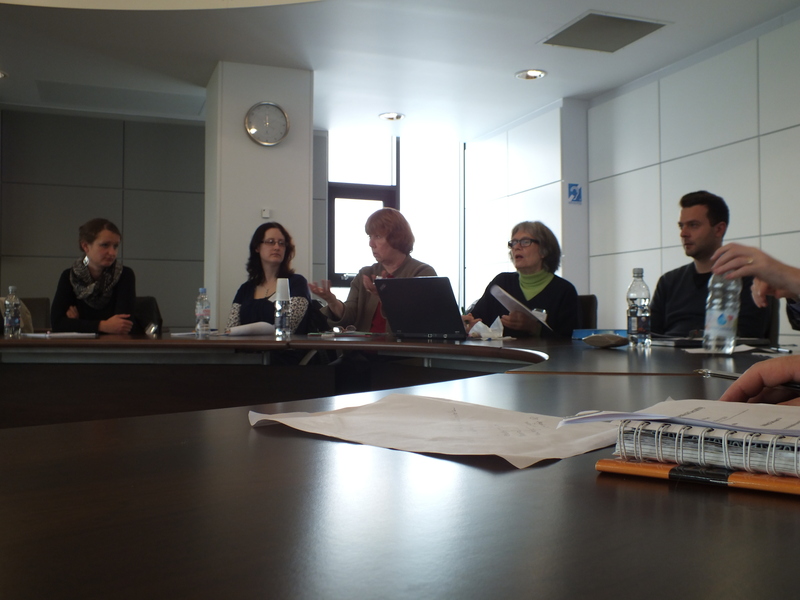 Cover Image; ASMBiodefense 2012 – H5N1 Research Discussion, Taken on February 29th. Some rights reserved Chris Condayan for Microbe World. Posted in Education, Governance, Science and Technology. We are hosting a conference which will bring together policy makers and academics to discuss the future of bio-chem arms control and non-proliferation. Industry engagement with biological and chemical weapon non-proliferation issues. Dr Nicholas Evans, University of Pennsylvania. Registration is required. Please contact Brett Edwards @ Bwie20@bath.ac.uk for further information. Last week a meeting held at the University of Bath brought together practitioners and experts in order to discuss the implications of innovation in biology and chemistry for security in a UK context. In recent years, security concerns related to this issue area have received intermittent public attention. This has been primarily in the wake of the US Anthrax attacks in 2001, as well as in relation to chemical weapon atrocities in Syria. There has also been recent press coverage, as well as high-level emergency reviews, related to security concerns about research into avian influenza which demonstrated how to make the virus more transmissible. The avian influenza discussions, follow over a dozen other reviews of comparable cases in the previous decade, in a range of institutions internationally. At the event, there was emphasis on the need to ensure that civilian technologies, materials and expertise related to innovation did not contribute to the prospect of bio-chemical terrorism or warfare. Often such discussions focus on lock and key containment type strategies. However, the emphasis within this project is to think about how novel approaches can be developed which allow for a broader range of misuse scenarios, and S&T trends of potential concern to be addressed in a pre-emptive and responsible way. For example, this includes considering how existing local-level ethics review and safety practices could potentially be developed to more explicitly and comprehensively address security concerns. One practical aim of the meeting was to discuss the potential value of regional networks in biochemical security, with an emphasis on the role of local research institutions as well other stake-holders at a local and national level. The meeting was led by Professor David Galbreath and Brett Edwards, both from the department of Politics, Languages and International Studies. In attendance were local laboratory biosafety and ethics experts, academics and policy experts, as well as representatives from several government organisations. The meeting also included several round-table discussion sessions led by: Professor Kathryn Nixdorff, Professor in the Department of Microbiology and Genetics, Darmstadt University of Technology; Dr Jo Husbands, Senior Project Director US National Academies of Science; Dr Ralf Trapp, international arms control consultant as well as Professor Galbreath, University of Bath. The idea that innovation security policy is developed and implemented in quite different ways in different university contexts. That a range of local, regional and national networks (both formal and personal) already exist which address which are relevant regional innovation security policy. That there are a number of potential ways by which institutional innovation security policy could be more forward looking. For example it was suggested that there was need for greater security consultation when new laboratories were being designed and built. That greater engagement with the scientific community, as well as education initiatives directed at this community would be of value to many of the stake-holders. That regional biochemical security networks could serve a number of potential roles and had support from many of those in attendance. Further information on the project, as well as a policy paper series are available at the project website (www.biochemsec2030.org). The policy paper series addresses policy challenges at the interphase of innovation and security policy in the context of biological and chemical weapons regimes. Recent publications have focused on the challenges posed by state level investment in to incapacitating chemical weapons, current science and technology review processes at international level, as well as the potential challenges posed by amateur biologists. The Biochemical Security 2030 Project is funded by the ESRC and DSTL under the RCUK Global Uncertainties initiative as part of the Science and Security Programme. The original project was designed and submitted by Dr Alexander Kelle (University of Bath) whom is currently seconded to the Organisation for the Prohibition of Chemical Weapons. The principle Investigator on the project is Professor David Galbreath, supported by the work of Brett Edwards. Posted in Education, Governance, South-West. Interested in how biological and chemical innovation is relevant to security? There is a one day event on Regional Innovation Biochemical Security taking place on May 1st 2014 at the University of Bath. This workshop will examine the prospect of regional networks on security relevant aspects of innovation, within the biological and chemical sciences. Central to this network, would be those involved in; biological and chemical research, associated industries , as well as those who support and regulate innovation. Our first meeting will address a range of issues, including; laboratory safety and security, forward-looking security concerns related to advances in science and technology, as well as opportunities to improve security through scientific and social research. This meeting will also bring together a range of stakeholders; including scientists, industry representatives, research institution representatives as well as regulators. Further details about this meeting are outlined below. Advances in science and technology (S&T) hold the promise of great benefits for society, including improved security. At the same time however, S&T is also associated with concerns about misuse and safety. This includes, for example, concerns about terrorist misuse of pathogens, as well as state level development of biological and chemical weapons. There are likely to be further types of concern as the Bioeconomy continues to develop at pace over the coming decades. In response, a web of measures (local, national as well as international) are under development. This web of measures is designed to secure technologies, hazardous materials, and in some cases even knowledge, associated with biochemical innovation. This web also includes activities designed to attribute and mitigate biological and chemical attacks. In a UK context, concerns about chemical and biological weapons have led to a range of responses. First, the Home Office has identified biological and chemical weapons as potential threats within the national anti-terrorism strategy. Second, scientific institutions have become increasingly involved in initiatives designed to ensure that researchers consider the misuse potential of research, and where necessary modify research design and how findings are disseminated. Scientific institutions also contribute technical expertise to policy making in this area. Added to this, there has also been investment in both the UK and internationally into research and response capacity to help make the armed forces and public more resilient to the threat of biological and chemical weapons attack. Taken together these activities constitute Innovation Biochemical Security. This idea can be usefully broken down into several related components. ‘Practice’ involves institutional approaches to implementing legal and ethical responsibilities. This includes for example, ensuring compliance with relevant health and safety, and anti-terrorism regulation. It also includes developing awareness and vigilance within industry and the scientific community. 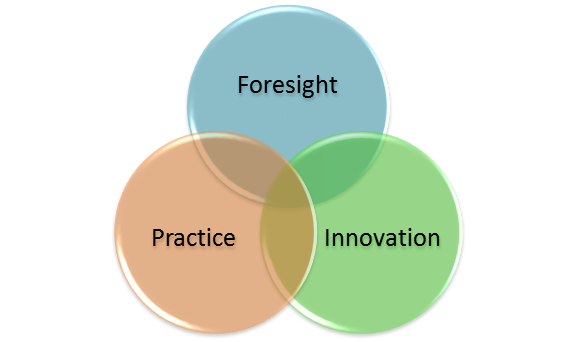 ‘Foresight’ involves identifying and assessing the risks and benefits stemming from cutting-edge science and technology. This includes the technical challenges raised for local implementation, as well as the challenges raised by trends in science and technology for governance frameworks more fundamentally. ‘Innovation’ involves both scientific and policy initiatives which seek to make additions to the web of governance measures aimed at improving biological and chemical security. This includes the development of new technologies for the detection, mitigation and attribution of attacks. It also includes technologies designed to aid the destruction of such weapons. A notable recent example are the technologies which have been developed to aid the destruction of Syrian chemical weapon precursors at sea. Another key aspects of innovation is the development of new forums to identify and, where appropriate, respond to biochemical security concerns. An example of such an endeavor, has been the establishment of voluntary security standards within the DNA synthesis industry; a project which has required both technical and policy expertise. Who is the event relevant to? Within our project we want to help foster discussions and partnerships in this issue area. One way in which we are doing this is through examining the feasibility of regional networks in biochemical security within the UK. The diagram below identifies many of the key potential stakeholders within such a network. 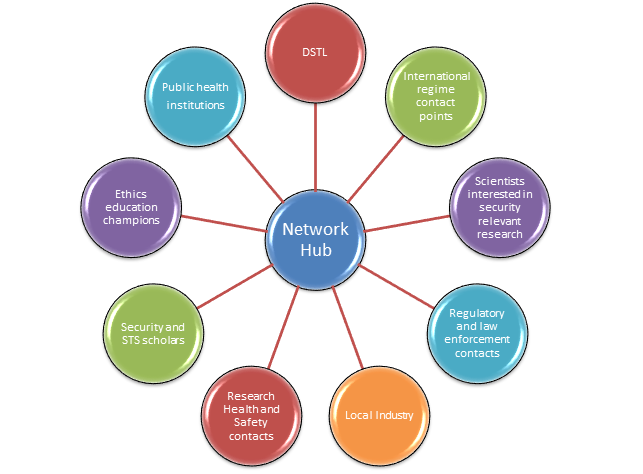 The network could include those involved in developing and implementing laboratory or material safety and security policy, those who work with pathogens and toxins, those involved in ethics education for scientists, as well as scientists, social scientists and other stakeholders with an interest in identifying and responding to current and future needs in Innovation Biochemical Security. At our first meeting, we have a particular interest in inviting local level practitioners as well national and international level contact points. While many of these stakeholders may already have institutional links there remains a requirement to assess and consider whether and how such links could be strengthened. What could be the benefit of such networks? 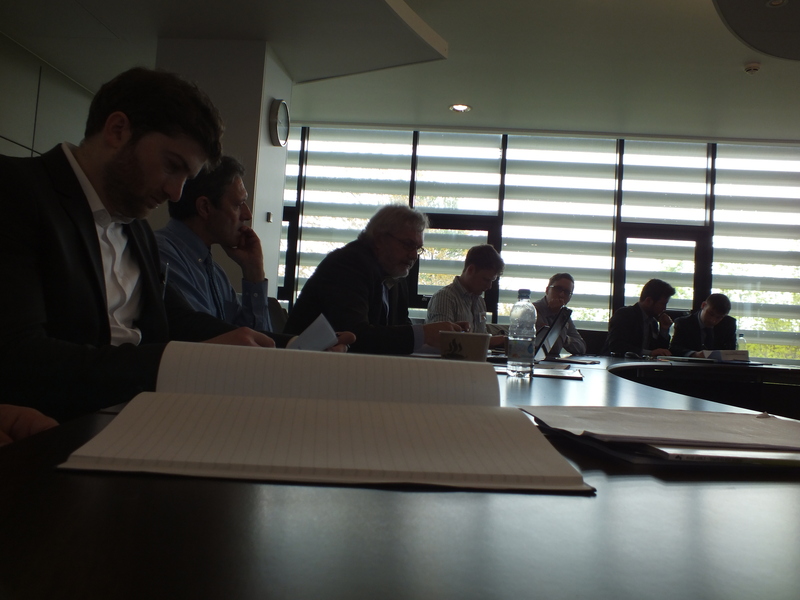 We are holding the first of two meetings which will address the value and prospect of such networks on May 1st. The first meeting will take the form of a workshop which will involve representatives from the key stakeholders identified above. The threat of biological and chemical weapon atrocities, by states or sub-state actors is ever present but often ignored. In recent history, the use and development of such weapons has usually been associated with political responses designed to prevent against the use of such abhorrent weapons in the future. Throughout the twentieth century several states sustained large chemical and biological weapon development programmes– there is also a long history of use. It in this context that the biological and chemical weapons conventions have developed internationally. These conventions include a web of international and national measured designed to prevent and mitigate the threat posed by the use of such weapons. The majority of states, but not all, are signatories to these treaties. A wide number of institutions, including scientific institutions and civil society groups, also play a key role in the functioning of these treaties. 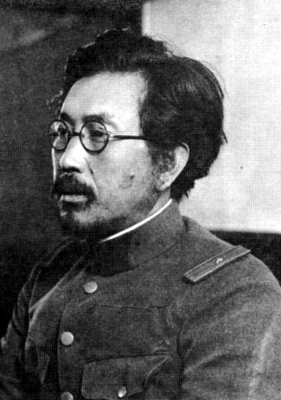 Dark pasts: Shiro Ishii, a scientist and commander of Unit 731, a covert chemical and biological weapon development active in the 1930s and 1940s. This unit killed thousands of people in secret weapon tests. However, despite the development of these regimes, such weapons continue to be of military significance to states and sub-state terrorist groups. That is to say, while the majority of the international community agree that there are ‘no right hands’ for such weapons- these weapons have continued to hold appeal for some- in the case of some terrorists, precisely because they illicit such terror and disgust. Advances in S&T continue to threaten to make such weapons even more alluring to these actors. As recent events in Syria have also demonstrated, some states have continued to develop these weapons, despite their illegality. Likewise, perceived threat of biological and chemical terrorism to states has ensured that many states continue to invest in (legal) defensive measures against the threat of use. Some activities supported within defensive programmes may in themselves contribute to increased risk perceptions among states, who struggle to distinguish between offensive and defensive programmes in the context of state secrecy. Historically, advances in S&T have been intimately associated with military developments. In recent years, the scientific community has increasingly been called upon to help in the development of existing systems of oversight, in order to help ensure against the misuse of scientific knowledge, laboratories, equipment and re-agents. Problematically however, awareness and owner ship of this issue is absent in much of the scientific community. Added to this, there remains a requirement to improve how scientific and technological expertise is utilized in the context of the national and international regimes directed against chemical and biological weapons. Developments in systems of bio-chemical security have been particularly determined by the character of geo- politics. There is a need for better understanding of how two way education and communication can circumvent the contested character of geo-politics, and result in responsive governance and oversight. This problem can be understood to involve a situation in which actors struggle within constraining political contexts to account for and respond to the speed of change within biochemical science and technology. Science, by its very nature is about moving beyond the status quo. We can see advances in biological and chemical sciences especially in the last 10 years pointing towards the increasing control over the basic components of biological and chemical materials. Perhaps even more fantastical for those that are not familiar with these developments, are the increasing overlap between the biological and chemical sciences. This includes the increasing extent to which biological systems can be utilized to produce complex chemicals, and the way in which components of complex biological systems are being synthesized through man-made chemical processes. This development towards a bio-chemical science is an important example of how advances in S&T can undermine existing approaches to oversight, in ways which are currently foreseen, and potentially unforeseen within existing governance regimes. The issue of convergence reveals the extent to which the development of governance systems is heavily influenced by geo-politics. Under international law, biological and chemical weapons are dealt with under two very distinctive regimes- which account for developments in S&T in different ways. An examination of the history of these regimes, reveals the fundamental that geo-politics has played. In the case of the CWC systems are in place to verify state compliance. The human and financial resources for S&T revew are also entrenched within the institution. In contrast, the BWC lacks a system of verification, as well as any significant institutional report for S&T review. Attempts to improve this situation, have been repeatedly undermined due to geo-political tensions. In other words, geo-political agency moves slowly. In the future, how might arms control mechanisms be able to manage, govern and restrict changes in science and technology? The problem, as one might expect is not new. Yet the nature of changes in the study of bio-chemistry and how they relate to technologies that could both protect and destroy man-kind are of an order we may not have seen since the advent of atomic energy. It has become increasingly clear that new thinking is required to overcome the obstacles to improving the responsiveness of CBW regimes to developments in S&T. While there is a consensus on the problem, we lack one on the solution. David J. Galbreath is Professor of International Security at the University of Bath and Editor-in-Chief of European Security. Prof. Galbreath’s work focuses on security governance and international regimes in the areas of ethnic conflict, minority politics and confidence and security building measures. More recently, his research has begun to science and security governance in the areas of biological and chemical warfare and arms control. Funded by the ESRC and the Defence Science and Technology Laboratory, Prof Galbreath is working on the underlying problems of arms control governance under conditions of rapid scientific developments. The project brings together his work on regime effectiveness, technology and defense, and international policy implementation. Prof Galbreath directs the Conflict and Security Research Group in the Bath Institute for Policy Research. Brett Edwards is a PhD candidate at the University of Bath. His PhD examines the governance of dual-use aspects of the field of synthetic biology, within in the US and the UK. His PhD is Wellcome funded and Is part of a multi-university project entitled Building a Sustainable Capacity for Dual-use Bioethics. Brett has also worked for 6-months as a research officer on a Foreign and Commonwealth Office funded project on S&T review within the Biological and Toxin Weapons Convention (BWC). Recently, he also completed a research fellowship at the Parliamentary Office of Science and Technology, which was funded by the Wellcome Trust. Brett has a dual undergraduate background in Biology and Politics, and holds a MA in Biotechnological Law and Ethics (University of Sheffield, 2009).